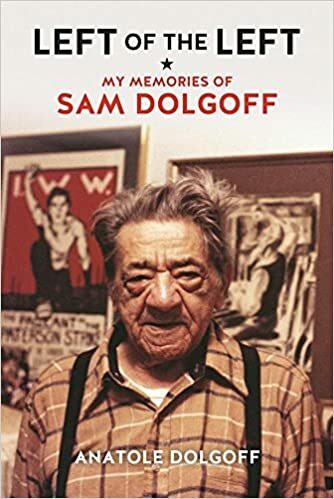 Sam Dolgoff, a house painter by trade, was at the center of American anarchism for seventy years. His political voyage began in the 1920s when he joined the Industrial Workers of the World. He rode the rails as an itinerant laborer, bedding down in hobo camps and mounting soapboxes in cities across the United States. Self-educated, he translated, edited, and wrote some of the most important books and journals of twentieth-century anti-authoritarian politics, including the most widely read collection of Mikhail Bakunin’s writings in English. His story, told with passion and humor by his son, conjures images of a lost New York City—the Lower East Side, the strong immigrant and working-class neighborhoods, the blurred lines dividing proletarian and intellectual culture, the union halls and social clubs, the brutal cops and bosses, and the solidarity that kept them at bay. An instant classic of radical history, this biography is written by a man now in his seventies who, as a child and young man, had a front-row seat to the world of proletarian politics and the colorful characters who brought it to life.